A recent scientific study published in the scientific Journal Nature has born out the possibility that components of the blood of newborn human babies could actually reverse many of the problems associated with cognitive and other impairments due to aging. While this may strike many as a horrific topic with it’s possible implications. Be aware this research is all linked to the scientific journals. A topic not for the faint of heart. This is a type of Parabiosis literally meaning “living beside“. By connecting the circulatory systems of two animals into one as in direct transfusion or periodic injections of donor blood. While the technology of transfusion, a form of Parabiosis, has been employed for centuries to save lives from catastrophic blood loss due to injury or surgery. Many would be horrified to know this practice is also being used by the rich and powerful for life extension to this day. Literally injecting the blood of the young for it’s rejuvenating properties. The topic was covered in depth in Raptorman’s last post about this grisly subject. It was reported widely by independent media. There are many accounts of the elite throughout history using the blood of young children for sacrificial and life extending purposes. These accounts are often dismissed as lore from long ago and something of a legend like Dracula. The fact is this practice is still in fashion for life extension and is being publically admitted. Recent scientific studies have shown the health benefits of injecting a young animal’s blood into an older animal ranging from increased vitality, better skin, decreased aging, shiner hair and increased mental powers as well as physical stamina. A conceivably nightmarish scenario where the blood of the young becomes a commodity for the rich and powerful. Who’s lust for the good stuff does not stop at Italian marble and fine wines. Exploring this possibility is not to accuse any individual or corporation of violating the law. Asking a core question in the last post regarding the logical deduction about this ghoulish concept. How young is the blood needed for maximum effects? Asking this important question. What is the age of the blood needed for the maximum effects? Citing the scientific literature from the Journal Nature. Any of the recent articles on the Parabiosis and the elite’s fascination with it all reference the same report in the journal Nature. Missing the most telling part of the report entitled Ageing research: Blood to blood. This was only a couple paragraphs down from the material covered in the mainstream pieces. Mainstream media outlets must have lost interest after only a couple paragraphs. Clive McCay, a biochemist and gerontologist at Cornell University in Ithaca, New York, was the first to apply parabiosis to the study of ageing. In 1956, his team joined 69 pairs of rats, almost all of differing ages3. The linked rats included a 1.5-month-old paired with a 16-month-old — the equivalent of pairing a 5-year-old human with a 47-year-old. It was not a pretty experiment. Journal Nature Ageing research: Blood to blood. Scientific Research on this subject was originally done by Clive Mcay of Cornell University in 1956 and was funded by the Rockefeller Foundation and the secretive Office of Naval Research. The pursuit of using blood for it’s preventative and therapeutic health qualities is nothing new. Tales of vampires and a bloodthirsty elite rooted in the urban legend are gaining a scientific footing. These experiments demonstrate the age range to obtain effects is a sliding scale meaning the older you are the younger blood needed for maximum effect. Pairing the equivalent of an 18-year-old with a 47-year-old produced only negligible results. Whereas pairing that same 47-year-old with a 5-year-old produced much better results. Mining the components of the young blood to enhance the function of an older host. All of this is certainly not good for the young donor being sucked dry of its vitality. New research has come to light also featured in the Journal Nature. Answering the question of how young the blood would need to be for certain maximum effects. As indicated in the original work done by Clive Mcay in 1956 the youngest blood has the most dramatic health effects when injected into older hosts. Now it is born out in the scientific literature just how young blood must be for maximum effect to be had. Regarding this experiment it was not injecting young mouse blood into older mice. Injections of actual newborn human blood plasma from donated umbilical cords were given to older mice. Dramatically increasing their brain function and overall physiology. The experiment focused on memory and cognitive ability improvements using a component called a TIMP2 protein, mined from human newborn baby blood. Only researching the effects of this one component called a TIMP2 protein but admitting all kinds of rejuvenate qualities were obtained by the injection of newborn human baby blood. The experiment was related to aging research and not Alzheimer’s disease as is often quoted in mainstream articles when broaching the need for such macabre experiments. This cannot be understated. 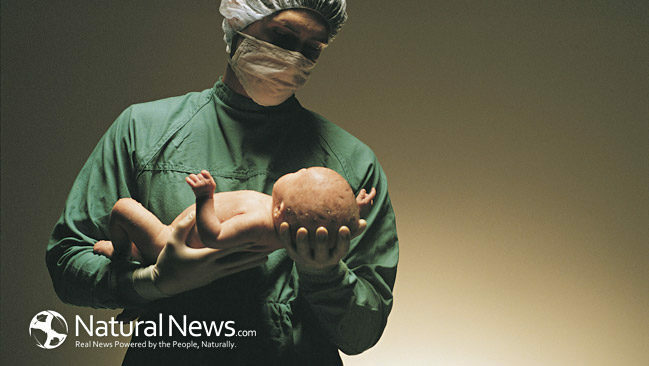 Human newborn baby blood reverses cognitive and other age-related ailments. Even in older mice that aren’t even human. Imagine what it would do for a billionaire in their late 40s who is overworked. Or an executive looking for any edge over their competition. What about an elite obsessed with life extension? Consider all of the horrific logical deductions. This is not to imply any wrongdoing by any individual or corporation. Only to show the relevant scientific research and ask logical questions as to where this is all going or where it has gone. Do you think there are enough donated umbilical cords to satisfy demand for such a conceivably important product? These experiments demonstrate that the sliding scale slides all the way to the bottom if measured on an ethical gauge. The very youngest human blood being mined for it’s youth promoting effects. Possibly turned into commodity by the rich and powerful and used as a fountain of youth? A darker picture could not be painted in the worst science fiction novel. Thanks to NaturalNewsBlogs.com and SHTFPlan.com for covering the last post on this subject. Please read the scientific literature linked here and spread this article far and wide. The thousands Facebook shares and likes of the original article were taken down from NaturalNewsBlogs by Facebook in the continued effort to keep information such as this from public view. 1 Comment on Newborn Human Baby Blood Shown to Reverse Age Related Diseases. This article was taken down from the VOAT PIZZAGATE forum after 77 upvotes and many comments adding to the research into Parabiosis. A forum where all kinds of theories are thrown around and never touched. Yet this article is linked to the Journal Nature showing the real scientific research and it is singled out for censorship. Facebook is allowing you to post it but blocking it from their search bar. The original naturalnewsblogs article is no where to be found on Google or Bing unless the exact url is typed. A form of censorship where the information is just buried. As of now the RaptormanReports article is still listed if the full title is used. Otherwise it is buried under mainstream articles saying basically the same thing but white washing the subject all together and putting this across as a great thing. Please spread this article.